The Tamborim (PBT-60), featuring the QuickDraw mount, provides a brilliant pop while allowing you to go between handheld and mounted playing with ease. The Pearl Compact Traveler Drum Kit is an ideal electronic drum kit for schools, street drummers and small stages due to the incredible portability and lightweight set up of this kit. Box Cajon with Built-in Bass Port and Tilted Front Plate. 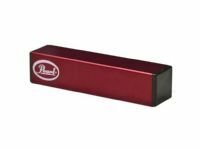 Use the Pearl PPS-20 foot pedal bracket to play cowbells and other percussion instruments by foot. 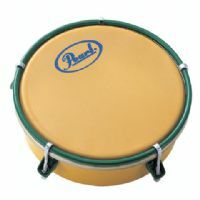 The Pearl PGA40 Triple shaker is a great hand percussion effect to add to your arsenal. The Backpack Cajon is a slim line cajon that you play on your lap and fits in most backpacks to go with you anywhere. It features two ported chambers, one for bass and one for snare sounds. 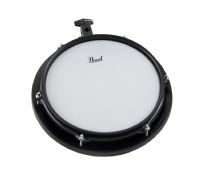 Nylon carry case for the Birch Bass Cajon features two strap style handles and a zippered lid that opens on three sides for easy access storing or removing the cajon. 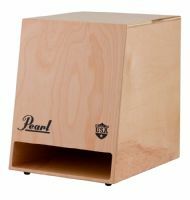 The Pearl Birch Bass Cajon features a 100% Birch body and faceplate. The BBC utilizes three sets of fixed snares to add a crisp response over the natural EQ bass tones of the Birch instrument. Nylon carry case included.